The oft-repeated mantra of the ‘ecological modernist’ is that we are wasteful. They see the rise of disposable cups, packaging and plastic bags as a sign that of that wastefulness. Further, in terms of energy and climate change, they see traffic jams full of cars with only the driver inside, and lights on in buildings with no occupants in the city all night – a society squandering our resources. If only we could stop all this wastefulness and build a utopia. I argued that waste is a relative and value driven term, and that the popularity of waste as a concept in environmental circles is in fact slowing progress on environment issues, as it distracts from the core problems. Waste is not a useful concept, but litter, ‘stuff in the wrong place which may cause harm’, certainly is. Governments have waged war against plastic bags in the name of reducing litter (even though they prefer the term waste). Outlawing giveaway plastic bags appears to have gained traction with policy makers as one path to environmental bliss. South Australia has a law. Victoria has one. Ireland has one (although the list of exemptions is pretty long). California is considering one. And the list goes on. After cleaning out the house lately I have found no less than 40 of these bags – about 30% supermarket bags, but mostly from other retailers and from promotional events. There are almost 9million households in Australia, so I am guessing there are around 300million of these things floating around the country. Have we simply substituted one litter problem for another? A CSIRO research scientist, Dr Mike O'Shea, says the green bag's only environmental credential is that it is not the single-use high-density polyethylene plastic bag still given out in most shops and supermarkets. The approach taken with plastic bags was very obtuse. 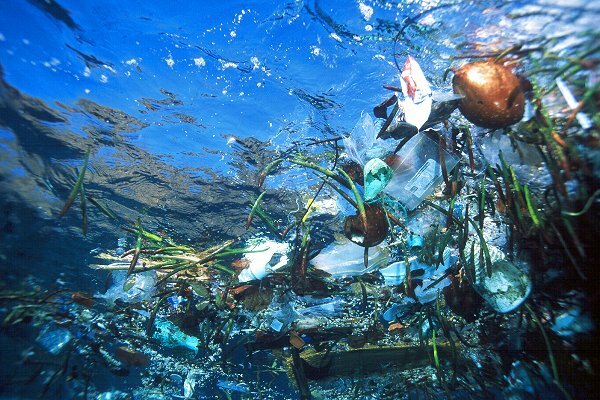 The plastic bag problem, as I understand it, is not about producing less plastic bags, but about having less plastic bag litter in our waterways and oceans. If all plastic bags were in landfill, instead of floating around out oceans choking our wildlife, we would have no problem with these versatile little things (but maybe a problem with landfill in general). Taxes and regulations affecting the plastic bag price at selected stores achieves nothing for other litter problems, while giving the illusion of strong action. Unfortunately bans typically apply only to supermarkets, allowing other retailers to continue to offer plastic bags for free. From my observations, supermarket plastic bags are the least likely to end up as litter. They usually go straight from the store to home, and are likely to be reused for rubbish, or thrown out with the regular rubbish. The plastic bag ban has surely missed its mark, while providing the illusion of strong environmental action. Maybe it is all too simplistic of me to suggest that we tackle problems in a simple and direct manner. Perhaps instead we could invest in the prevention and clean up of litter entering our waterways by ensuring litter traps are on all stormwater pipes, investing in regular cleaning of rivers and riverbanks to remove litter and debris, and invest cooperatively in the cleanup of ocean rubbish (maybe with a little help from this guy). Agreed; A good reason to move to hemp bags eh? Interesting points, Cam. I tend to subscribe to Doug McLean's assertion that green bags "serve as a first step in changing the way we use bags and why we use bags". They are "not perfect, but they are an initial break in the link of people taking 7 billion throwaway bags. There is an emphasis on behaviour change." (taken from your link http://www.smh.com.au/news/environment/how-green-is-your-bag/2005/04/24/1114281452076.html). I believe that the behavioural change is an important part of it. One point you might consider (taken from same article) is that cornstarch bags, while they may prove to be biodegradeable, need to be separated from other plastics when recycled (http://www.smh.com.au/news/environment/how-green-is-your-bag/2005/04/24/1114281452076.html). Also, it makes me nervous that seemingly EVERYTHING in our human lives is derived from corn now. Most grocery stores receive their shipments of goods in boxes. It would not be difficult, although apparently it is uncool for them, to offer these as an alternative to plastic or reusable even. A very Aldi/Franklins/my local fruit shop idea anonymous. It is one of my preferences, and you get a second use out of the boxes before recycling them. Great thing to have this great information about green bag revolution.